S&T, in partnership with ArM Architecture and theatre planners, Schuler Shook are delighted to announce their appointment by Regional Facilities Auckland to design Auckland’s new Aotea Studios. 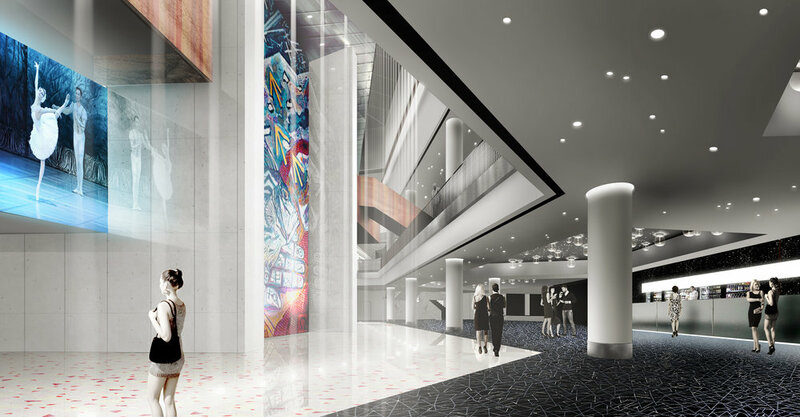 Once completed, this innovative expansion will house Auckland’s first fully resourced dedicated home for performing arts development and firmly cement the facilities and services delivered from the Aotea Centre and the Aotea Studios as the country’s primary creative hub. The Aotea Studios project involves designing a range of flexible studio spaces for rehearsal, performance and recording. The spaces will variously be for drama, dance and music. There will also be places to eat, drink and shop. Headquarters will also be created for significant Auckland arts organisations. S&T know the building intimately as it is currently leading the large scale external and internal refurbishment of the Aotea Centre. With the project proudly in construction, S&T have addressed the obvious technical aspects to the absolute best practice, and have helped to bring the existing building into the 21st Century to ensure it retains the title of New Zealand’s premier performance arts centre – the refurbishment is expected to finish in time for the Auckland Arts Festival in March 2019.